Montgomery County in Maryland would lose tens of thousands of jobs if it raises the minimum wage to $15 an hour, according to a study released by the county's government on Tuesday. The study found that the Maryland county just north of Washington D.C. would lose approximately 47,000 jobs by 2022 if the minimum wage went to $15, the Washington Post reported. 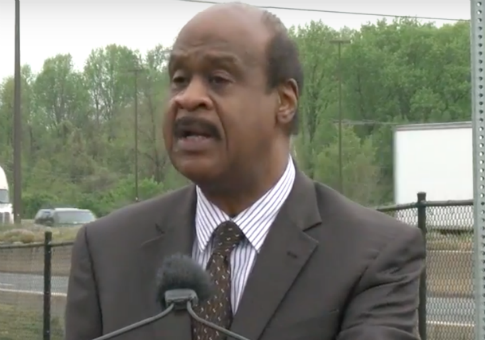 Montgomery County Executive Isiah Leggett (D.) commissioned the study, which also showed that most of the lost jobs would be low-wage positions. Leggett commissioned the study when he made the decision to veto the minimum wage increase in January. County Council member Marc Elrich introduced a bill last week that would raise the current hourly minimum wage of Montgomery County from $11.50 to $15. Those opposed to a higher minimum wage criticized Elrich for proposing the legislation only days before the study was due to come out, according to the Post. An economic consulting group based out of Philadelphia, PFM, conducted the study and found that the wage increase would result in an aggregate loss of $396.5 million of income in the county by 2022. Those in favor of the minimum wage increase question the validity of PFM's study because it only asked employers to predict what would happen if the wage was raised, not the actual impact of a wage hike. Elrich said that the PFM study was "nonsense" because it is impossible to project the effects that a wage increase would have in the future. Leggett said the study's findings cannot be ignored. "We can't minimize some of the impacts outlined here," Leggett said. "Even if it's not 47,000 jobs lost, even if it's half that, those are some startling numbers. You can't discount it all." Leggett explained that his decision to veto was due to worry that the wage hike would hurt the county's economy. Elrich is one of the three City Council incumbents who are running to succeed Leggett after his retirement in 2018. Another study conducted in June by economists at the University of Washington found that raising the minimum wage to $15 resulted in Seattle employers reducing low-wage workers' hours and even letting some go, costing those workers an average of $125 a month. No other county in Maryland has taken on the $15 per hour minimum wage; many Democrats who are running for governor, however, have included that plan in their platforms. This entry was posted in Issues and tagged Jobs, Maryland, Minimum Wage. Bookmark the permalink.